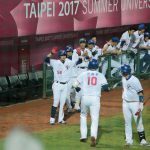 Lack of concentration has cost team Taiwan’s chance to make it to the next round in the 2017 Universiade. 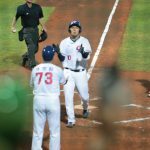 As the game-tying run 陳重廷 (Chen Chung-Ting) was picked off by a LHP in the bottom of the 8th inning. 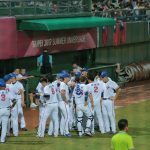 Team Taiwan unable to recover, dropping the game 3-6 to South Korea. 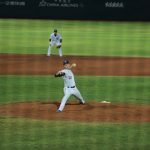 The 20-year-old LHP 林安可 (Lin An-Ko) pitched a solid game against Korea. 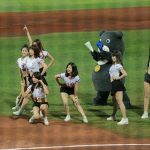 Lin who is expect to play overseas after graduate from university next year, pitched a 5.2 innings game and issued 9 strikeouts while gave up 2 runs. Good team stats, but Taiwan came last in group play. Despite leading the overall team stats in batting average, ERA and K/9, the reining champion somehow came last in the group play in the Universiade. 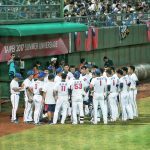 It’s the errors and all the unearned runs that cost team Taiwan’s chance to make it to the semi-final. “We lost the game and there’s no excuse for it. The players did everything they can in the game. 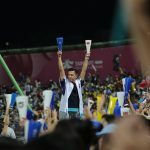 Yes, there are some minor details we could’ve done better and we’ll be focusing on in the future” Said team Taiwan’s skipper Kuo-Li after the game. Big thanks to Kris for supplying all the photos from the game. 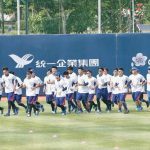 You can follow Kris on Twitter for CPBL photos and CPBL news!